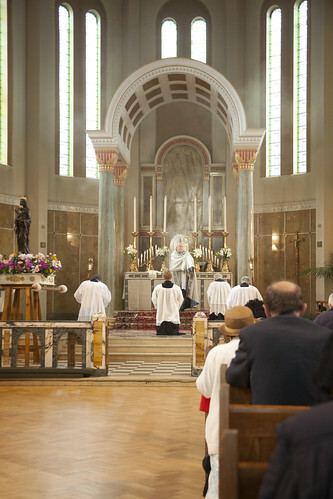 On Saturday I went on the Latin Mass Society Pilgrimage to Willesden. 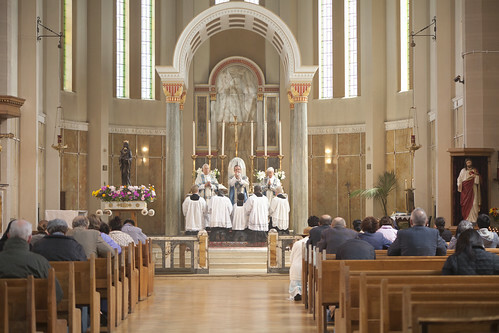 Solemn Mass was celebrated by Fr Nicholas Schofield, who was ordained in the church and had been assistant priest there until his move to Uxbridge. He has recently been appointed the LMS' Regional Chaplain for the South East (to replace Mgr Gordon Read, now our National Chaplain). 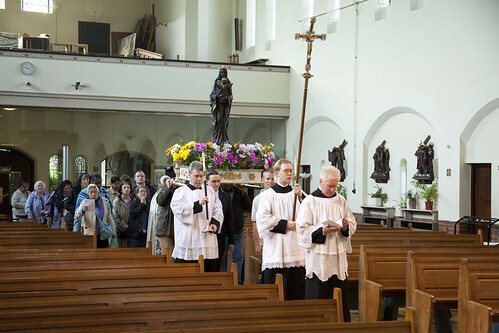 Mass was followed by Rosary, a procession, a great sermon from Fr Schofield, and Benediction. It was well attended, by about 90 people. 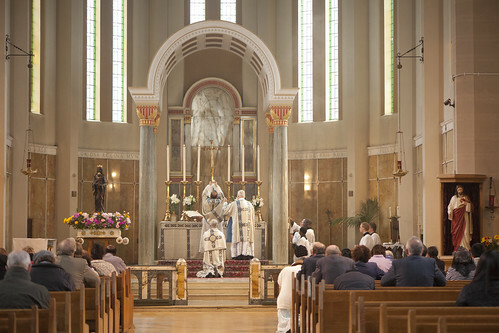 Our Lady of Willesden is soon to host a Sunday EF Mass, which makes provision for the EF in a new part of London. The impressive church was finished in 1930. The shrine was important in the late 15th and early 16th century, before its destruction by King Henry VIII in 1538, and was visited frequently by St Thomas More, one of whose daughters lived in the area. It origins, however, are lost in the mists of time, rather like those of Our Lady of Caversham: we simply hear of its flourishing existence. 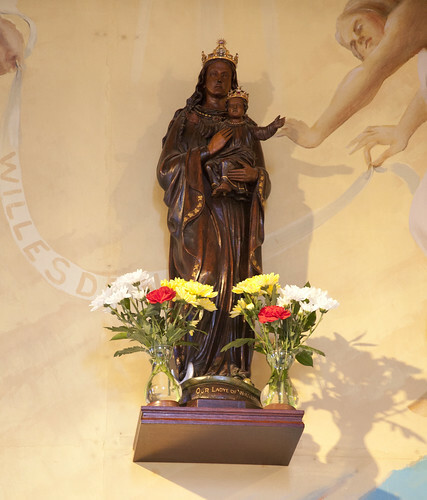 Devotion to Our Lady of Willesden was re-established earlier than many of England's Catholic shrines. The present church is probably about a mile from the medieval one. The shrine image (the processional one is a copy), is made from a timber of the ancient shrine, and was crowned by papal mandate.